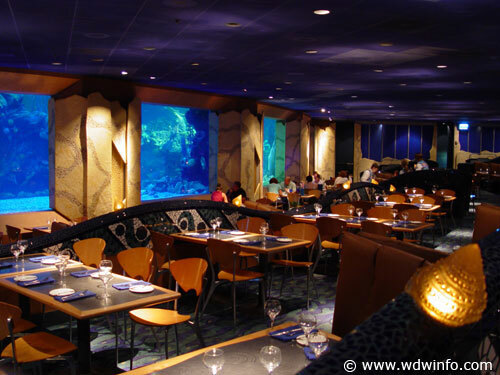 Prepare to dine "under the sea" when selecting the Coral Reef Restaurant. There's an aquarium wall with 8 foot high windows with incredible views of the Living Seas. Seating is tiered which assures everyone is able to see this aquatic display. Lighting is subdued. The interior is decorated in soothing shades of blue and green which enhance the underwater effect. In addition to freshly prepared seafood, meat, chicken, and vegetarian selections are offered. 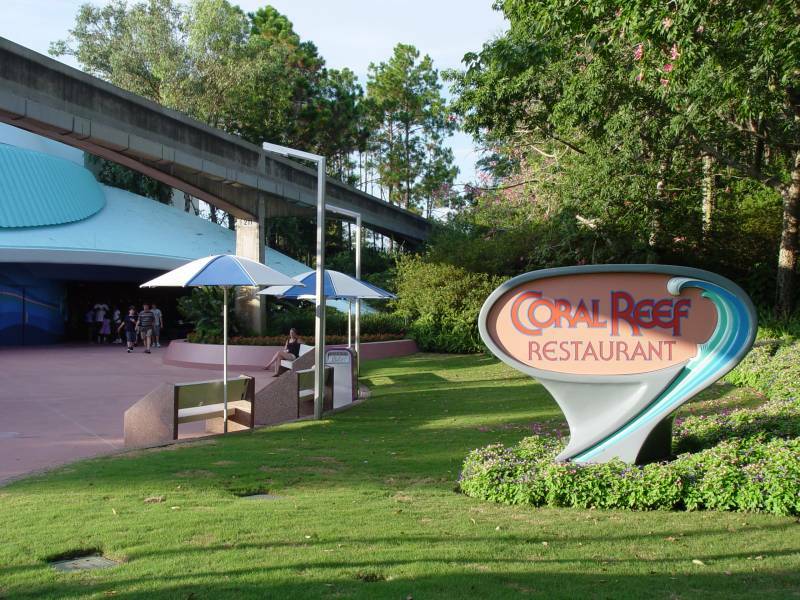 Menu discrepancies or corrections about Coral Reef Restaurant? Let us know!